IN THE AIR OVER KENTUCKY — The U.S. Air Force could buy a new version of the F-15, known as the F-15X, as long as there is enough money in future defense budgets, Air Force Chief of Staff Gen. David Goldfein told Defense News Saturday. And regardless of whether the service does buy the new jets this year, Goldfein said the new aircraft won’t be taking money from the Lockheed Martin F-35. The FY2020 defense budget has been the focus of speculation for months, and the Pentagon has still not released a final topline figure. Original planning had called for a $733 billion topline, which dwindled down to $700 billion after calls from President Donald Trump to slash federal spending and then ballooned up to $750 billion after the intervention of then-Defense Secretary Jim Mattis. In December 2018, Air Force Secretary Heather Wilson told Defense News that “all options are on the table," and on Saturday Goldfein acknowledged that the service had built multiple budgets as different figures were proposed. “We built the [$]730[billion] budget, and we went in and did a drill said what if we only get [$]700[billion] and what do we subtract, and what if there was a [$]750[billion] budget?” he said. Goldfein would not directly confirm that the Air Force has the money in the budget for the new planes. But he hinted strongly that the service would pull the trigger on acquiring them. The F-15X is an improved model from Boeing, teaming a new airframe with an improved radar, cockpit, electronic warfare suite and the ability to carry more missiles, bringing in upgrades that have been developed for the F-15s sold to Qatar and Saudi Arabia. Late last year, Bloomberg reported that the Air Force was planning to request $1.2 billion for 12 of the fourth-generation jets in the 2020 budget request. The report said the aircraft would go to the Air National Guard to replace the olders F-15Cs, which date to the 1980s. And that age is why the Air Force is looking at a new variant. The service currently has about 230 F-15C and D model aircraft in service. However, Goldfein acknowledged those aircraft don’t have the lifespan to make it to 2030 like other current fourth-generation aircraft, such as the F-15E, the F-16 and A-10. “It [has] performed brilliantly, but the cost growth runs to a point to where you’re spending too much money," Goldfein said. The Air Force’s decision to buy new F-15s came as a surprise late last year, as Air Force leadership had previously pushed back on the Boeing sales pitch. As recently as September 2018, Air Force Secretary Heather Wilson said that the Air Force needed to prioritize buying fifth-generation aircraft. 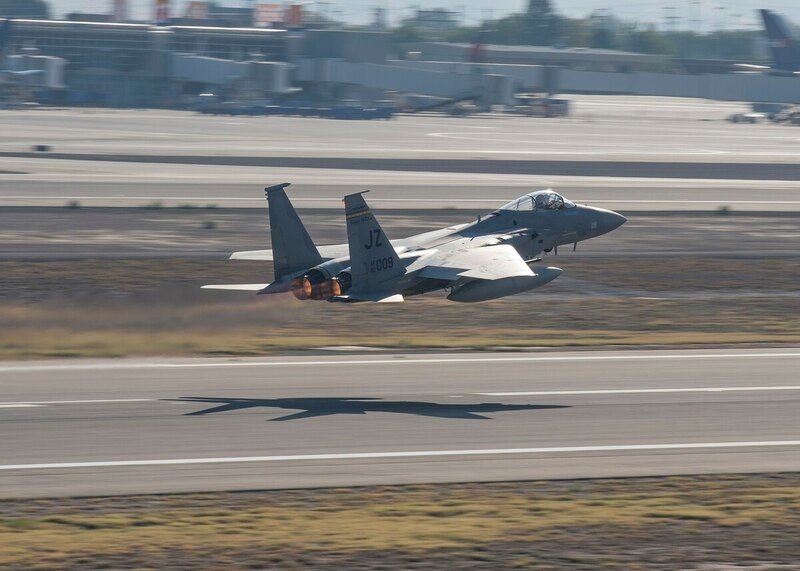 But, Goldfein said Saturday that the decision to possibly refresh the F-15 fleet comes down to the need for more fighters in service, regardless of generation.